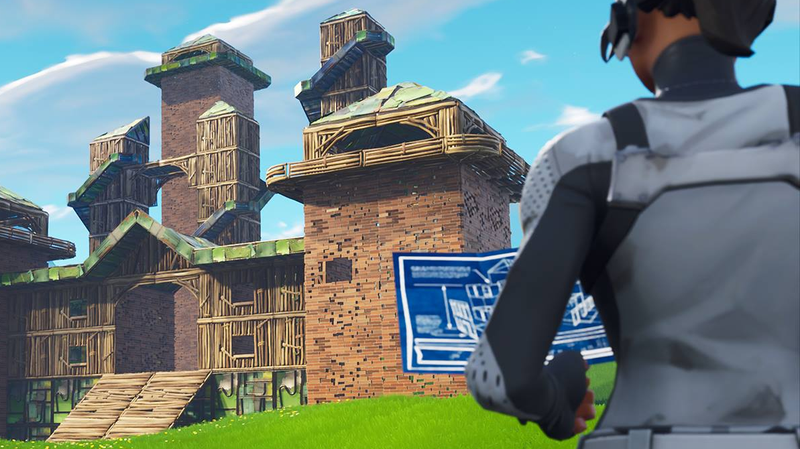 Fortnite’s latest update has made the skill of building forts or any other structures less relevant to success, leaving some players to lament that the thing that makes Fortnite’s unique is slowly disappearing. Update V5.10, released July 23, nerfed the building materials used to make walls, floors and any other structures in the game. Stat changes made most of the materials easier for opposing players to destroy. The starting health of stone walls dropped from 90 to 80, and from 100 to 80 for wood. Meanwhile the max health for wood walls was reduced from 200 to 150. Metal also saw changes, gaining 100 points of max health but also seeing its build time increased by the same percentage. The changes might appear slight, but the differences have been acutely felt by players who could previously craft their way out of dangerous situations. Players used to get into tense showdowns of weapon- swapping and rapid building, encasing themselves in one protective cocoon after another while trying to slowing chip away at their opponents’ health. Now they find themselves at the mercy of however powerful their opponent’s gun is. “Just spray and pray” has become the new meta overnight. The latest update also added a large magazine, high fire-rate weapon, the Compact SMG P90, which has made the new weakness of building materials that much more pronounced. Since the update, the kill ticker on the left of the screen tends to fill up with the letters “SMG” as the gun cuts through defensive structures like warm butter. Fights now have a tendency to end more quickly, especially if someone has a P90. In the game’s 50v50 mode, this means large, pitched battles play out more like something out of a WWII movie than the back-and-forth duels many Fortnite players have come to know and love so much. “I just feel bad for the players that invest time into learning to build effectively and using builds to win fights but are CONSTANTLY getting shut down by nerf after nerf to building and additional buffs to weapons that destroy builds faster,” wrote one player in a thread about the new changes on the Fortnite subreddit. Other posters are sharing memes to express their displeasure at the changing meta. The running joke now is that the P90 is more powerful even than Thanos, the god-like buff players could attain during matches several updates ago, and that master builders are powerless to stop it. One theory is that Epic Games has nerfed building to try and make the game more approachable for new and casual players, including people on smartphones. 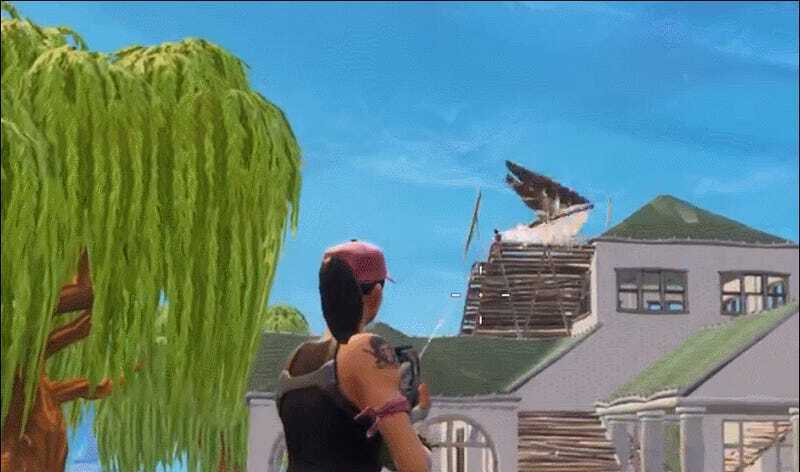 There was as similar backlash last month when material drops were made less abundant and buildings lost their increased resistance to shots fired from far away. Changes along those lines culminated in a players re-sharing “The Battle Is Building” slogan from the game’s original release. Some players have already joked that the prejudice against building goes so far as to include bushes and trees now requiring twice as many hits to destroy for the same amount of wood, but Epic has since confirmed this is merely a temporary bug that will be fixed in the next patch. It’s also possible that Epic is simply testing these things out and will pull the P90 sooner rather than later while also coming up with a new way to assert the importance of building. Fortnite is constantly shifting, and it’s only the second day of this brutal, more fortless world. At the very least, V5.10 shows how easily it is to transform a game as big and complex as Fortnite into something that feels incredibly different, despite only tweaking a few numbers. SMG, Compact SMG, and Silenced SMG damage falloff. Range reduced from 2400/3500/5000 to 2000/3000/4000. Percentage reduced from 100/80/65% to 100/70/40%.